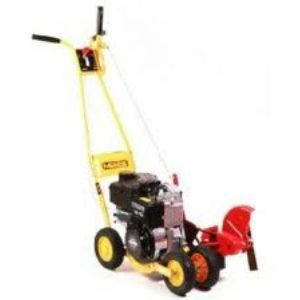 The lawn edger has a an easy to operate design. Gas engine provides more power for better results. Our lawn edger allows both depth and angle of blade to be adjusted for a custom finish to your lawn. Available at a 2 hour or daily rate to suit your needs. Click here for the Mclane 801 parts and operation manual. Blade size: 2" x 9"